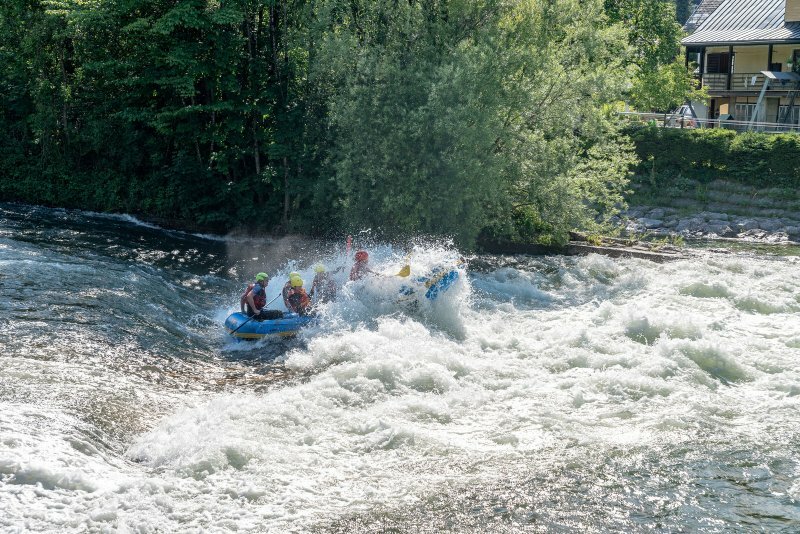 Good swimming skills. 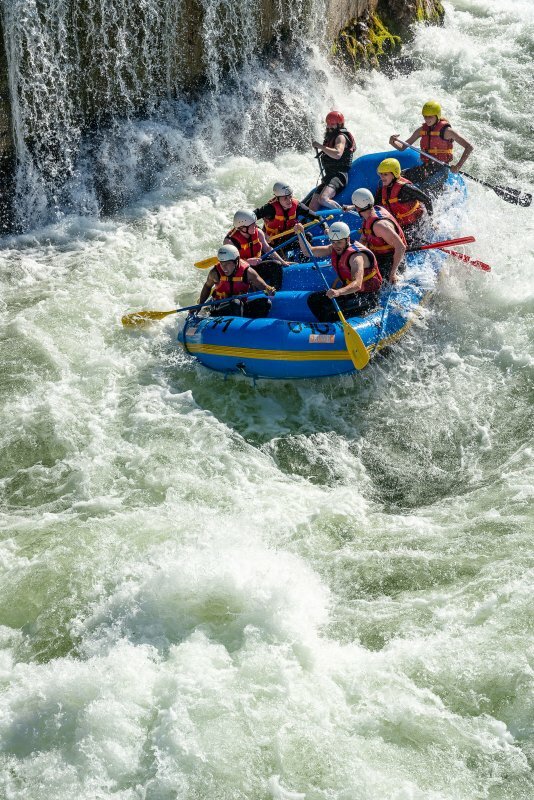 Included (start and finish of the tour). 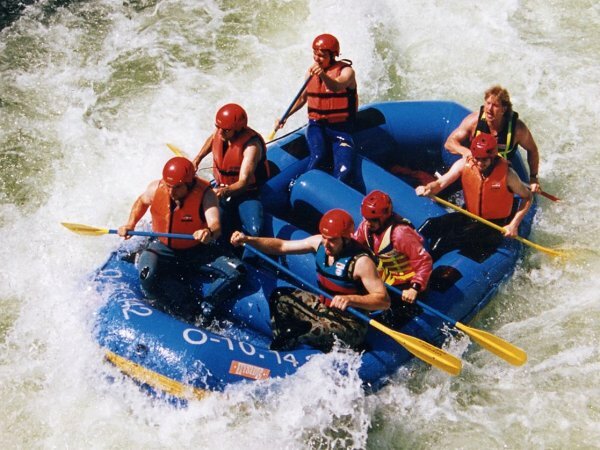 From 6 people. 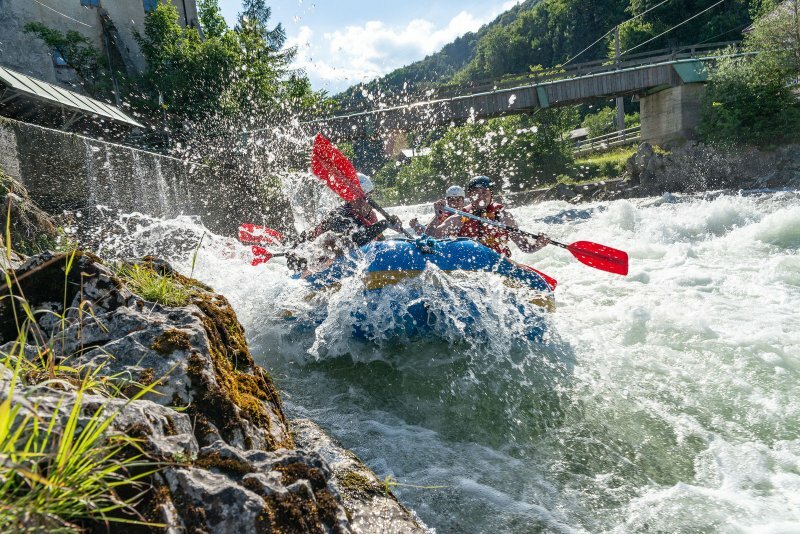 For organisational reasons, please register for this event. 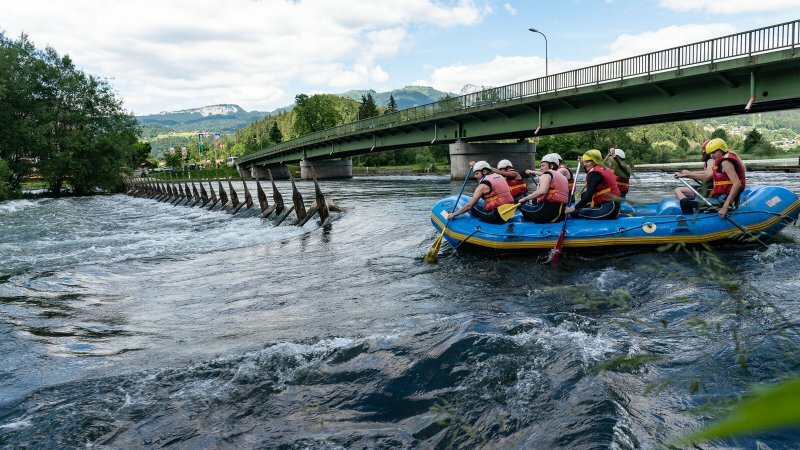 Rafting: Whether you never been in a boat before, or are a weathered rafter used to all types of waters: High waves, imposing rollers and six weirs. 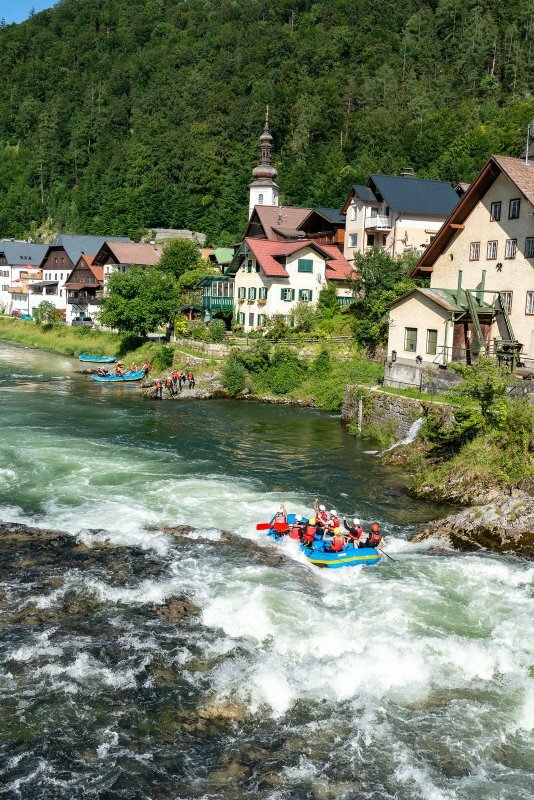 Fancy rafting in the Salzkammergut? 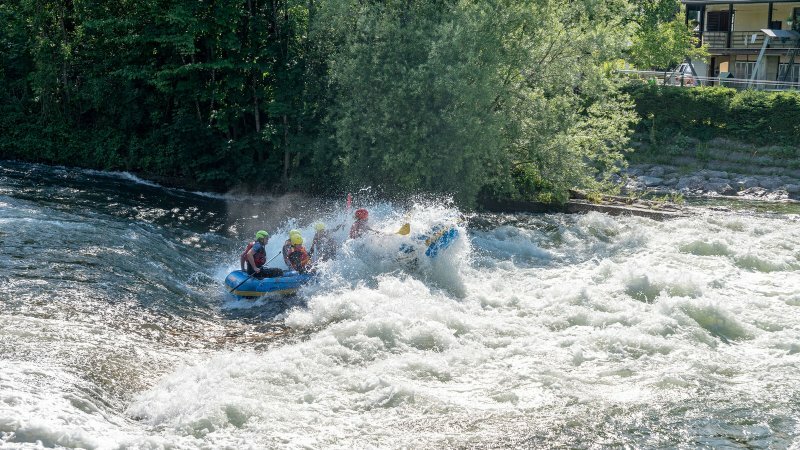 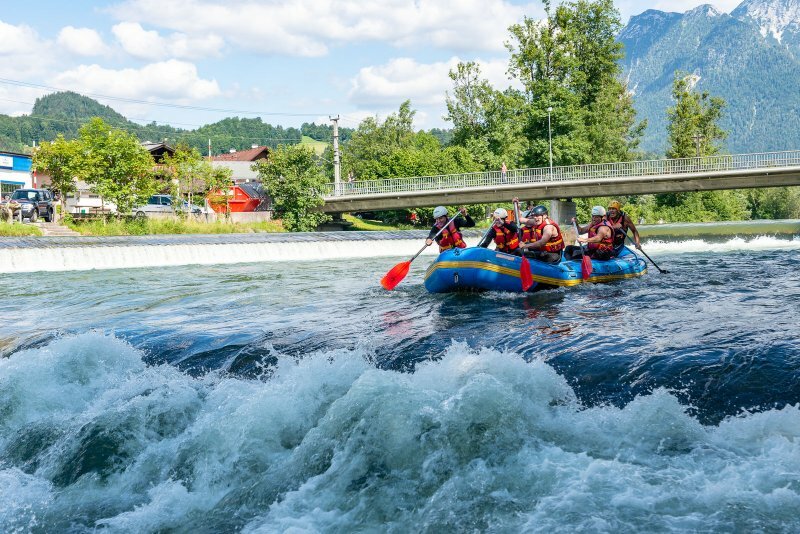 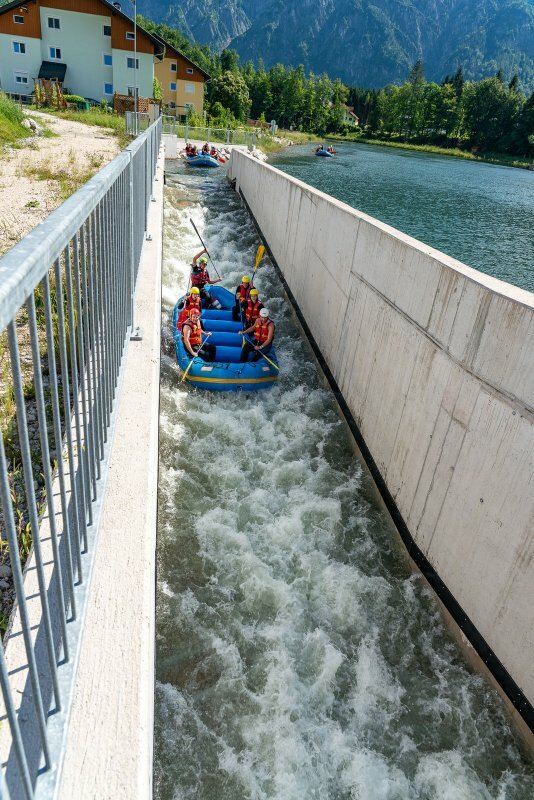 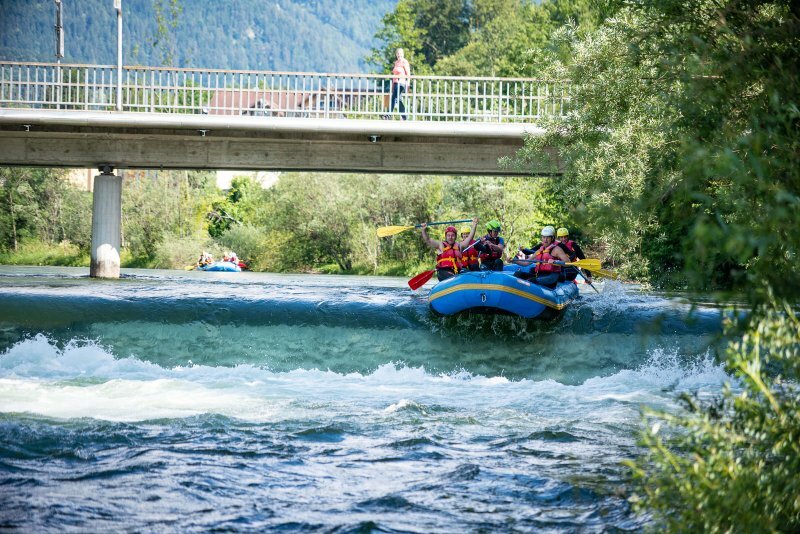 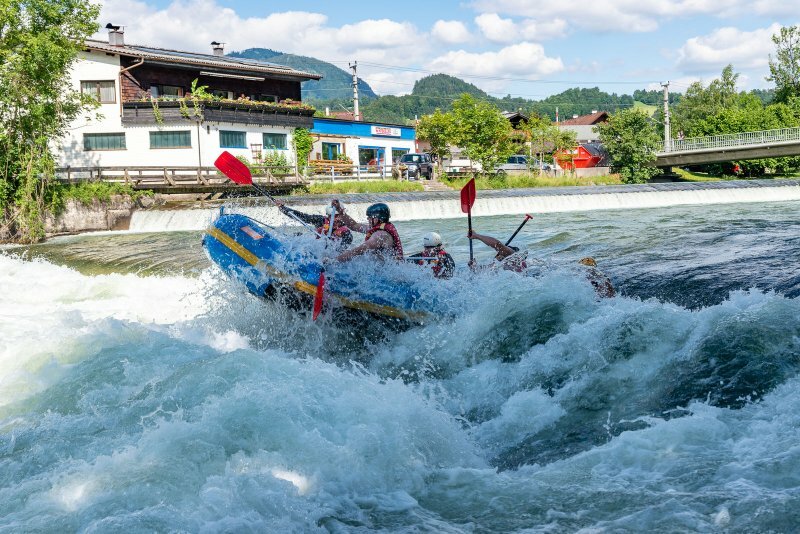 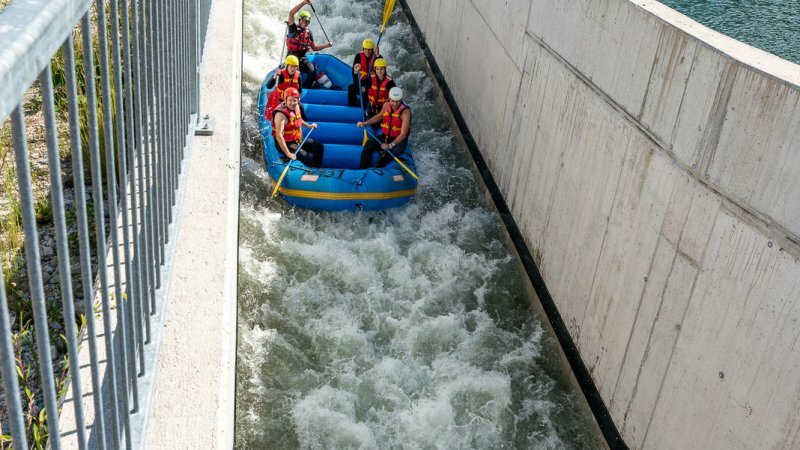 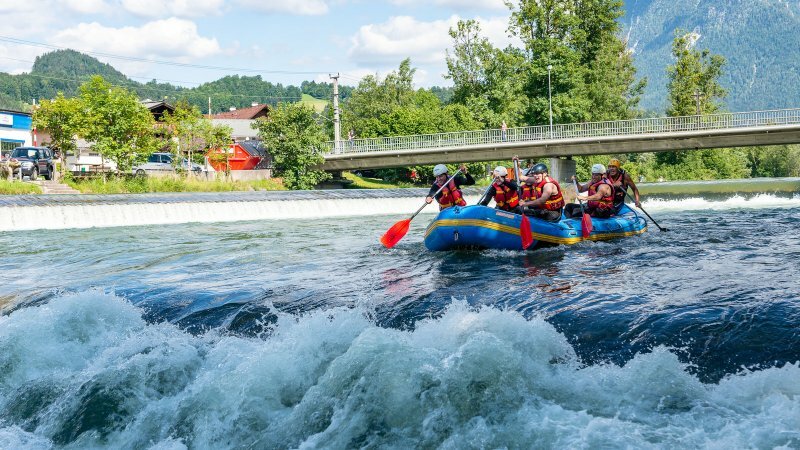 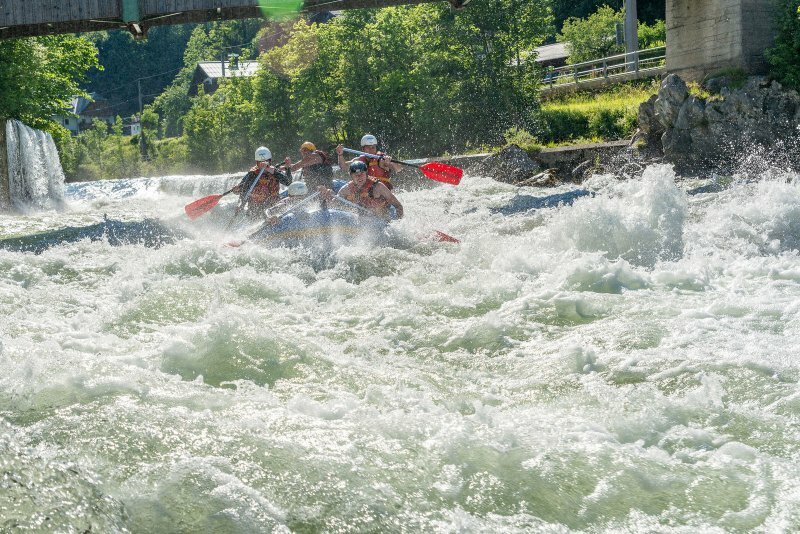 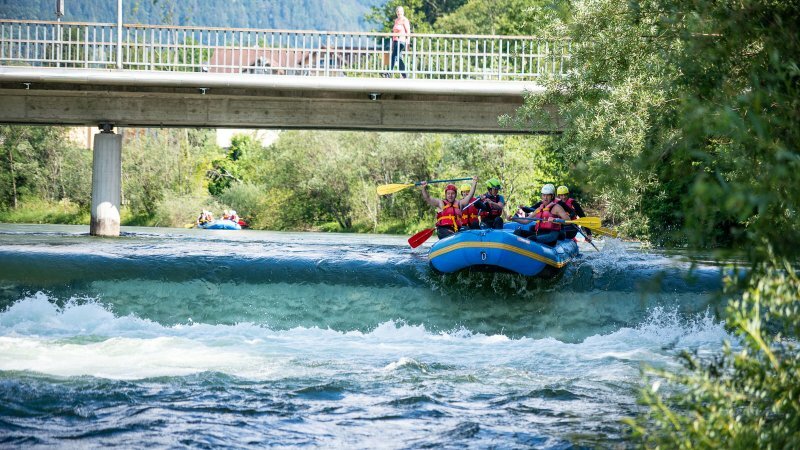 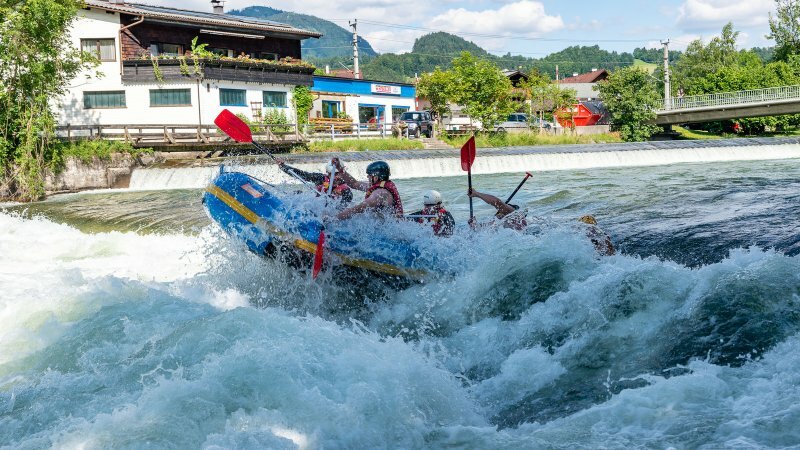 Let yourself be inspired by one of the nicest and most popular whitewater sections of the Salzkammergut: High waves, imposing rollers and six weirs between Bad Goisern and Bad Ischl - this is action, fun and an exciting experience. 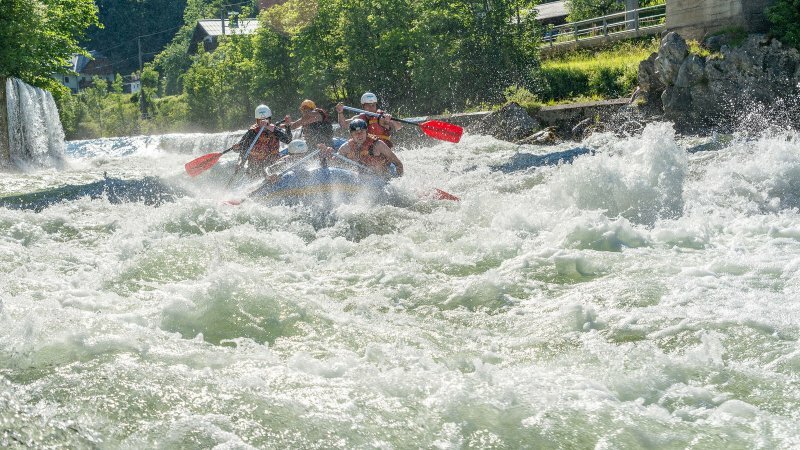 Whether you never been in a boat before, or are a weathered rafter used to all types of waters: Here is what you have been looking for! 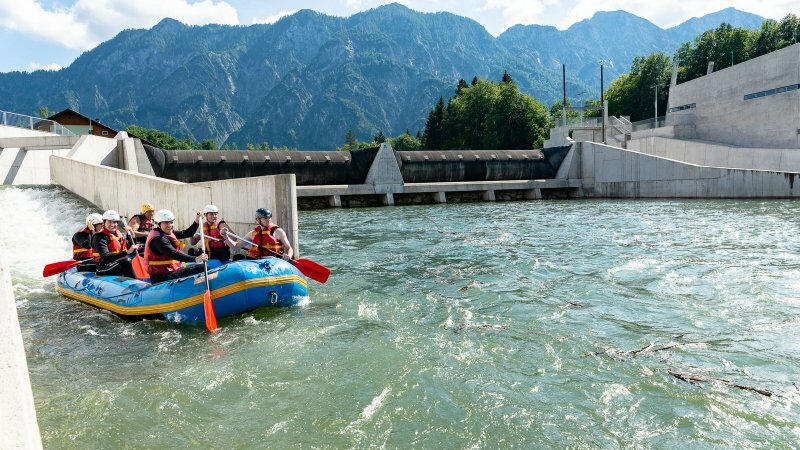 We guarantee you an unforgettable experience in the natural landscape of the UNESCO World Heritage region of Hallstatt Dachstein Salzkammergut. 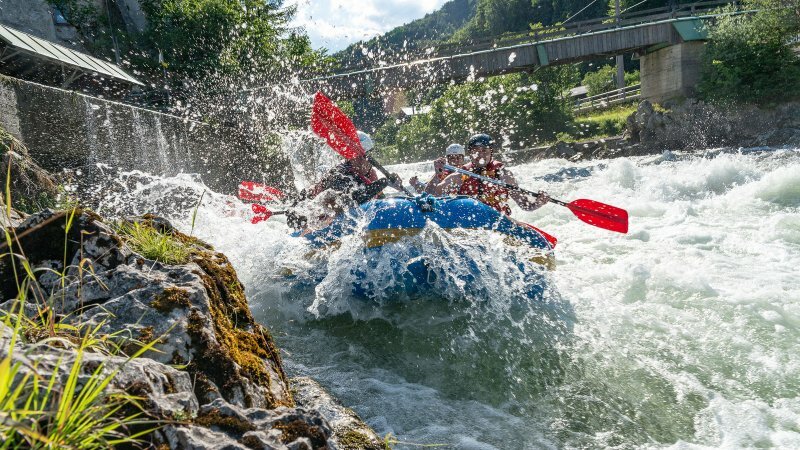 Let our specially trained and certified outdoor coaches introduce you to this exciting adventure event. 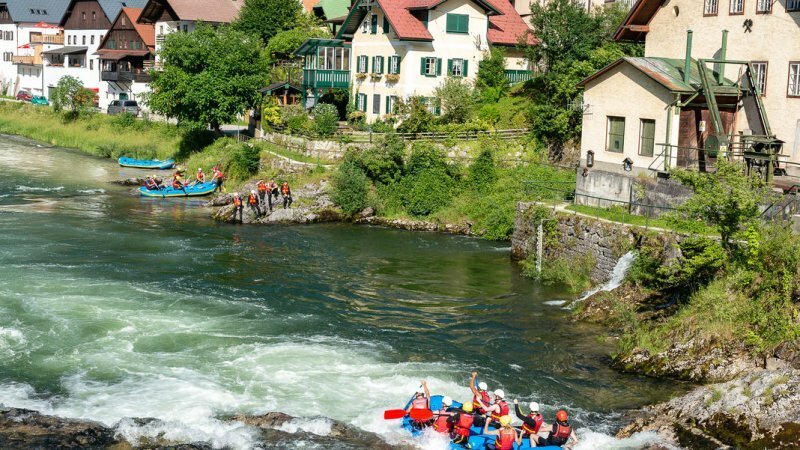 The 10 km long tour from the end of Lake Hallstatt to the village of Lauffen leads through the impressive and varied landscape of the Inner Salzkammergut and lasts around two hours. 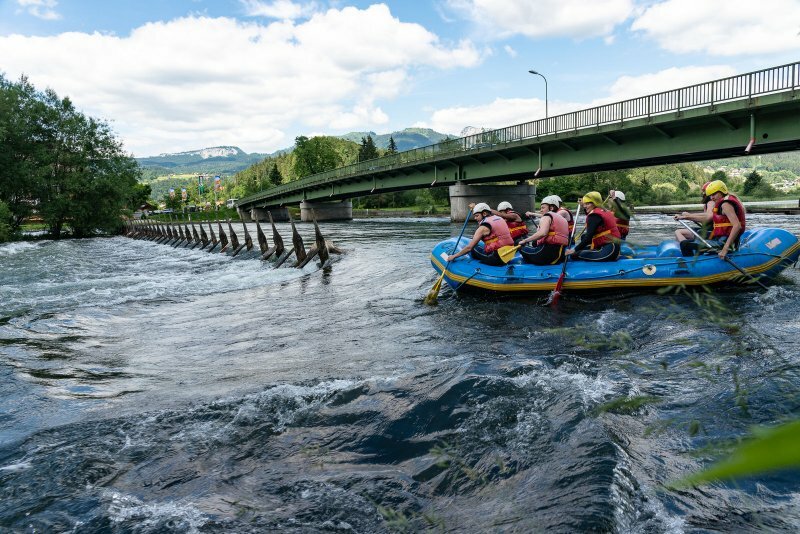 Along the route are about six weirs on the Traun to pass. 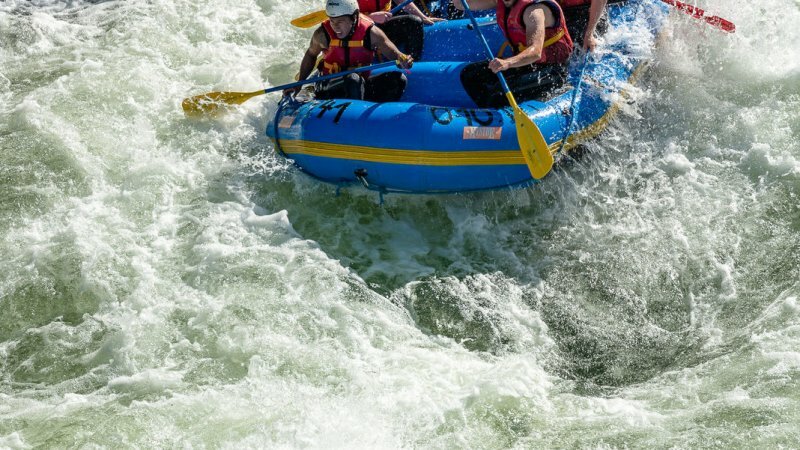 Have we awoken your interest? 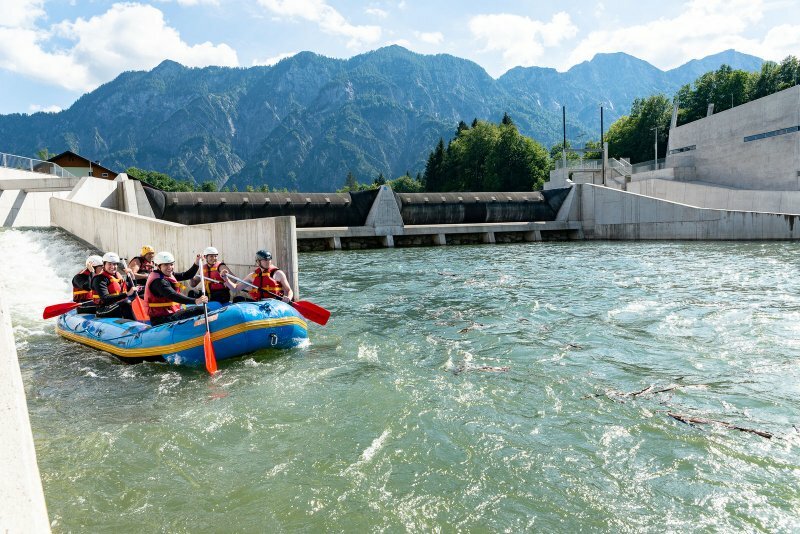 Then call us today on +43 (0)664/2360670, and experience unforgettable moments on the Traun between Bad Ischl and Bad Goisern on Lake Hallstatt in the Salzkammergut during your vacation.